Ok, 8 days left to the big morning and I have a Big store you must hit for all your techie friends. If you have yet to spend Christmas in The Big Apple you must do so, however I not speaking of the city, I am referring to the opening of one of the most anticipated stores to hit Dallas. The new Apple Store, located on knox/ Henderson is really a sight! A chic minimalist design, makes this store feel like a Loft straight out of Tron City. The large sales team, and not to mention the extraordinary amount of elbow room all make for happy shopping. in comparison to the over crowed maddens at Apple NorthPark, this new redesign of the pervious location on knox/Henderson spared no expense when it came to accommodating the holiday rush. And if your still in the market for buying a tech toy for someone Special in your life, and don’t know where to even begin start, never fear Apple at knox/Henderson is also home to a Massive Genies bar, where questions can be answered and apple products can be bought. However, if your someone special already has, much like the rest of America, an apple product, Apple stores are also filled with device accessories that are well under budget. similar to the Apple location at NorthPark Center, device dress up items are usually located at the back-end of the store, but let’s face it, trying to maneuver your way through chic geeks is enough to exhaust anyone. the extraordinary amount of space that the Big Apple is providing makes for pleasurable shopping. From iPad and iPod cases, and anything your apple product craves is nicely presented right before your eye’s, so stop in for some last-minute items, I have many apple products myself I must say receiving some apple add -on’s is always a great gift. 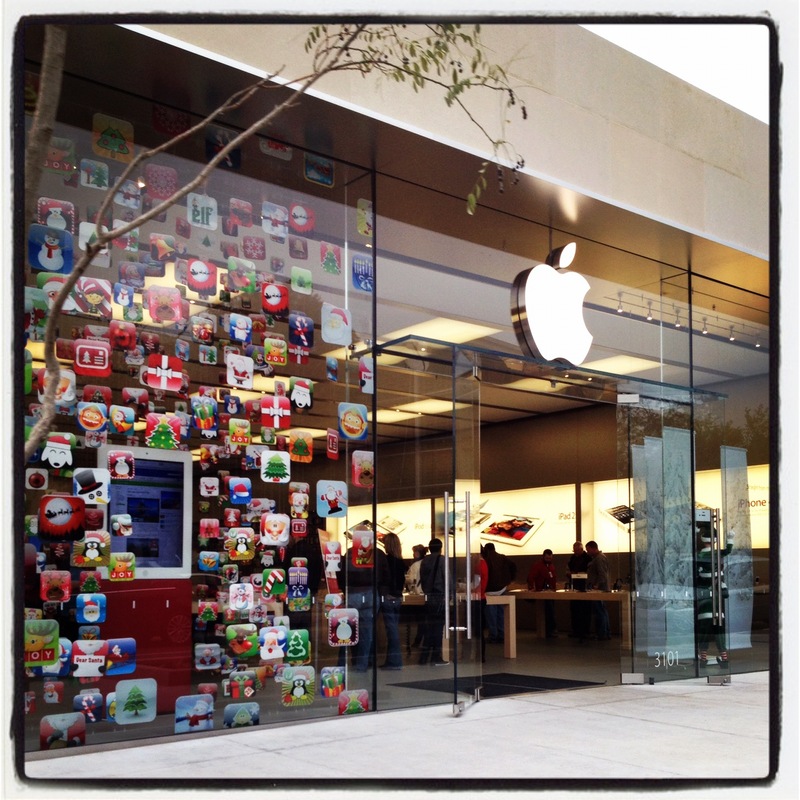 This entry was posted in | and tagged Apple, APPLE STORE, CHRISTMAS, christmas 2011, DALLAS, Holidays, MAC. Bookmark the permalink.